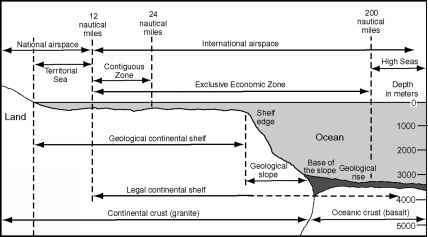 FIGURE 12.2 National and international zones in the ocean, subsoil, and overlying airspace under the 1982 United Nations Convention on the Law of the Sea, which came into force in 1994. The Antarctic Treaty (Article VI) refers to the rights ''of any State under international law with regard to the high seas.'' From the United States Department of State (1995). as a whole'' beyond economic, political, technological, cultural or geographic differences among nations. 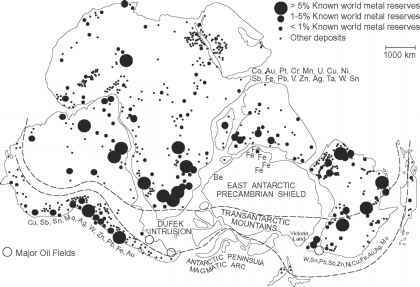 Among the three ''common spaces'' regimes that have been implemented through the United Nations, the 1959 Antarctic Treaty has the longest history of continuously elaborating common interests and cooperative strategies among nations (Antarctic Treaty Searchable Database: 1959-1999 CD-ROM). Moreover, during the past five decades, the Antarctic Treaty System has become uniquely integrated with other international regimes, including conventions on law of the sea, marine pollution, ozone depletion, transboundary wastes, whaling, and other global change processes associated with the sustainable development of humankind (Table 12.1). These international innovations in managing Antarctica for the ''progress of all mankind'' shine as a bright light in our emerging global society.